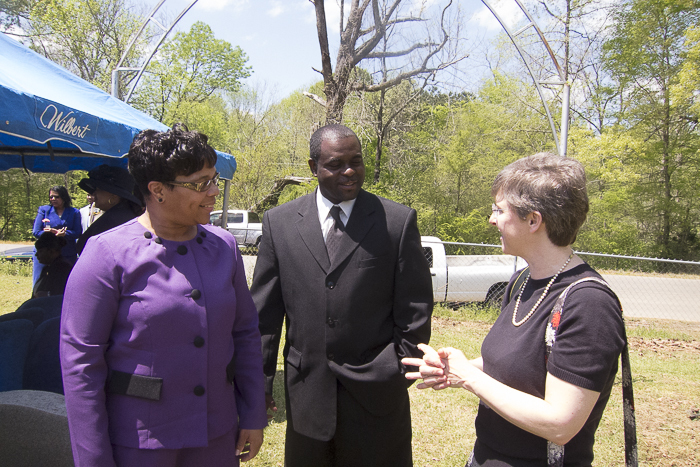 I spent Saturday down near home for the funeral of Mrs. Artemeasie Brandon. 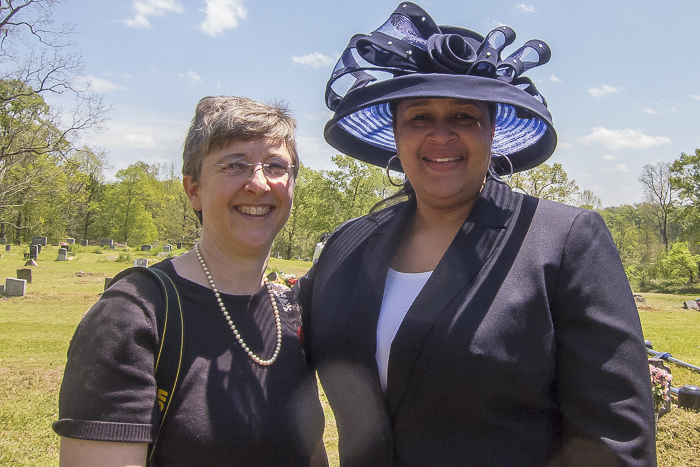 I knew Mrs. Brandon first because she raised my friend, Marhea Farmer, who I’ve known since second grade. Mrs. Brandon, 97, was also a quilter and I got to know her through an artist-the-schools program my mother created. 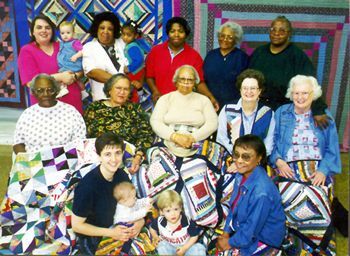 Here’s a photograph of Crossroads Quilters, a group I later joined, with Mrs. Brandon in the center. Later, when Marhea and I were in high school, we edited an oral history magazine that featured quilters, storytellers, folk artists, teachers, and other interesting people in the community. 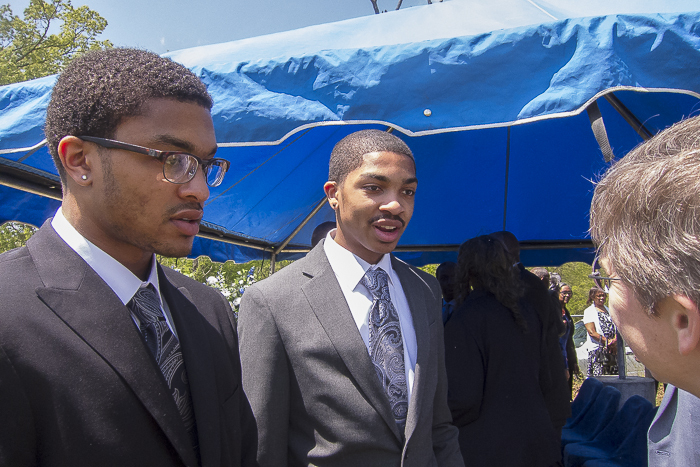 Mr. Nate Jones spoke at Mrs. Brandon’s funeral because they were longtime friends. Mr. Jones will be 100 on Thursday. He drove my school bus when I first moved to Mississippi in second grade. He made a special place for me to sit up beside him, and I loved it. I named my middle son for Mr. Jones. 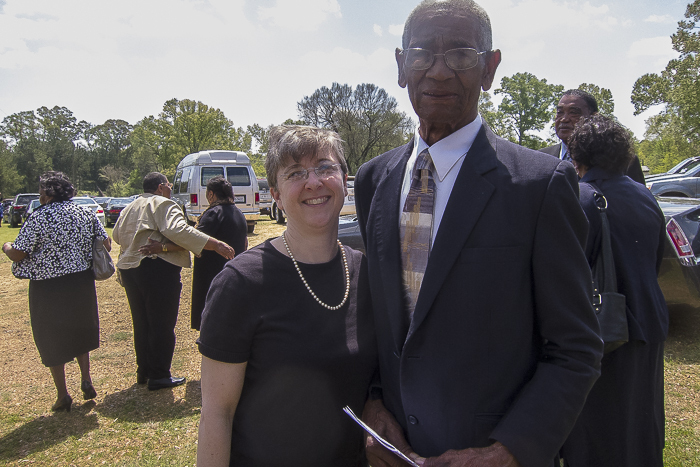 When my older sister, Emilye, grew up to be a historian of the Civil Rights Movement, we learned much about the courage of people like Mr. Jones, one of the first members of the NAACP in Claiborne County, who quietly but forcefully stood up for justice. Understandably it was a hard day for Marhea, who now lives in Michigan, to say goodbye to Mama Mease. I had a chance to visit briefly with Marhea’s sons, Marius and Avery. And some of Mrs. Brandon’s other young relatives, Rhonda and Ricky, who went to school with my younger sister, Jessica.